Born in March 1916 in Larteh, Gold Coast (modern-day Ghana) to a historical family that produced several pioneers in the arts, academia, religion and politics, Dr Matilda Johanna Clerk was no anomaly. She was the first Ghanaian woman in any field to secure a scholarship to study abroad, and became the second Ghanaian woman and fourth West African woman to receive a university degree. Clerk had a long academic career: she first attended primary and middle school at Presbyterian schools in the Gold Coast, unsurprising given her family’s staunchly Presbyterian denomination. Her leadership qualities were evident since Clerk’s childhood: the nuns at the Aburi all girls boarding school she attended in middle school until 1931 described Clerk as the ‘Dux of the School’ (Clerk 1985). Clerk later left Aburi to attend the prestigious Achimota School, where Edinburgh graduate Agnes Yewande Savage taught. Clerk matriculated in 1932. At Achimota, Clerk obtained a Second Division Teacher’s Preliminary Certificate in 1935, and a few years later in 1937, she received her Cambridge Senior School Certificate. Clerk was a science teacher at Wesley Girls’ School between 1938 and 1940, and then went on to become the first Ghanaian woman to complete the intermediate preliminary course in basic medical science. In the year of 1942, she was the only student — man or woman — to pass the first preliminary baccalaureate medical examinations. But Clerk’s talents and skills extended beyond her academic capabilities: in her senior year she was the Girls’ School Prefect, she was also trained in piano and harp, excelled in sports, and was interested in embroidery, painting and gardening (Clerk 1985). Clerk remained at Achimota after her studies to teach biology between 1942 and 1944. Based on her exceptional academic performances, she was awarded a rare Gold Coast medical scholarship by the colonial government to study medicine at the University of Edinburgh (Patton 1996). She attended from 1944 to 1949 — in her time there, Clerk was an active member of the Student Christian Movement and the International Club (Clerk 1985). After receiving her MBChB from the University of Edinburgh, Clerk pursued an additional postgraduate qualifications in London. She received a Diploma in Tropical Medicine and Hygiene (DTM&H) from the London School of Hygiene and Tropical Medicine, a constituent college of the University of London, and subsequently returned to Ghana in 1951 (Patton 1996). Rather than pursuing a career in the private medical practice, Clerk dedicated herself to the public sector, focusing especially on primary care and public health. Her professional achievements were experience: she was a medical officer and superintendent in the Gold Coast Civil Service; she worked at the Health Education Division of the School of Hygiene in Accra from 1969 to 1971; and was the Senior Medical Officer at the Communicable Diseases Unit of the Regional Medical Officer of Health’s Office from 1971 to 1973 (Clerk 1985). She was also appointed a principal medical officer at the Princess Marie Louise Hospital for Women, where she worked with Ghana’s first woman physician Susan de Graft-Johnson, a fellow alumna of the University of Edinburgh and the Achimota School (Patton 1996). 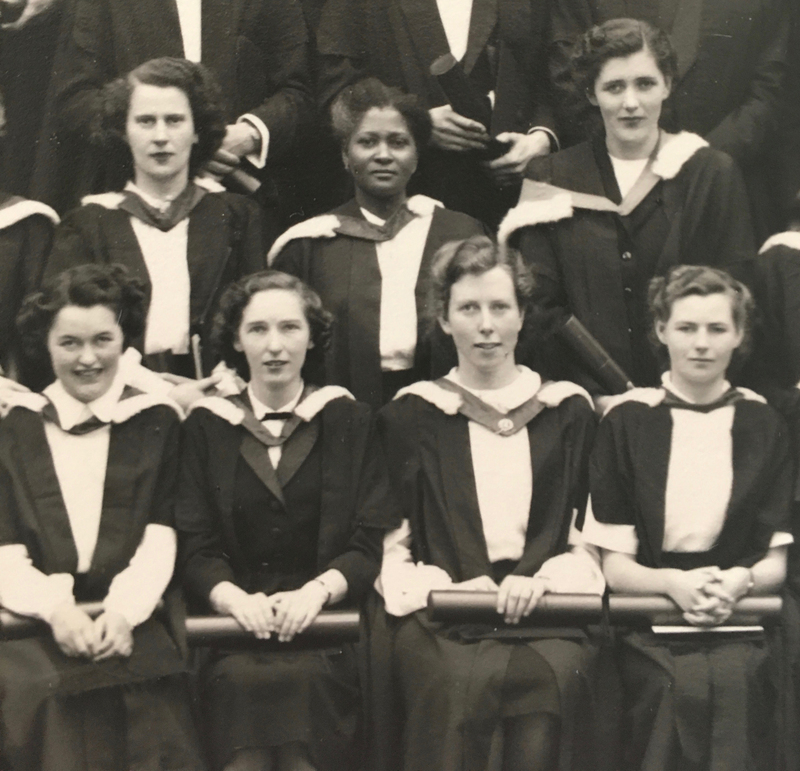 Clerk was one part of a broader lineage of exceptional, pioneering West African women who pursued their studies at the University of Edinburgh, a lineage that included women like Susan de Graft-Johnson and Agnes Yewande Savage (Ferry 2018b). And much like the West African women leaders and medical practitioners that came before, Clerk faced gendered barriers in her journey to success. The preliminary course in basic medical science that marked the beginning of Clerk’s lifetime in the medical field, for example, was initially denied to her on the basis of her gender. Clerk’s father, clergyman and missionary Nicholas Timothy Clerk, had to formally petition the then Governor of the Gold Coast for a special waiver to allow her to participate in the program (Hesse 2018). Still, while Clerk undoubtedly faced gendered discrimination in her life, she also enjoyed immense privileges endowed to her by having been born into the historical Clerk family. Researcher Georgina Ferry puts it quite well, noting that pioneering women in science, “as well as their innate ability, [needed] exceptional circumstances of birth or mentoring in order to succeed. 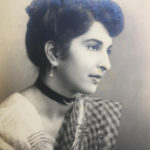 The Clerk family as a whole was certainly exceptional – her father’s high status within the religious and educational establishment made it possible for her to attend the elite Achimota school, and to take a pre-medical course previously closed to women that won her a government scholarship that enabled her to go to Edinburgh” (Ferry 2018a). The Clerk’s family status undoubtedly reduced — but did not completely negate — the impact of gender and race on Clerk’s life. Matilda Johnson Clerk died in 1984 at her home in Accra. Emmanual Evans-Anfom, a Ghanaian physician, scholar and public servant who attended the University of Edinburgh with Clerk, delivered the eulogy at her funeral (Clerk 1985). Her public legacy is one of hard work, intellect, dedication and fearlessness — privately, however, she is remembered much more softly. Those family members who knew her described her as the “old lady who sat quietly in the corner at family gatherings” (Ferry 2018a). Clerk lived an impressive life and was a pioneer on several accounts: her title as the “beacon of Ghanaian womanhood” is undoubtedly earned. However despite her achievements, uncovering her story is a challenge. Few institutional archives exist of Matilda Clerk’s life and legacy – she is known to the public because of the work her family members have done to make known her life and legacy (Ferry 2018a). Matilda Clerk is an incredible woman, and her story deserves new and more platforms from which it can be heard. Clerk, Nicholas T. Obituary: Dr. Matilda Johanna Clerk, MBChB, DTM&H, Presbyterian Church of Ghana Funeral Bulletin, 05/01/1985. Ferry, Georgina. 2018a Personal communication, 18/11/2018. Hesse, Herman W. Von. Effects of colonialism on gender relations in Ghana, Blakkpepper. September 9 2018. Accessed Nov 19 2018. Patton Jr, Adele, 1996, Physicians, Colonial Racism, and Diaspora in West Africa, University Press of Florida, Gainesville. Tetty, Charles, 1985, Medical Practitioners of African Descent in Colonial Ghana, The International Journal of African Historical Studies, No 18, 139–144. Many thanks to Georgina Ferry for her generous help researching the life of Matilda Clerk.